The concept for the Symposium arose when along with our Royal Patron, HRH The Duke of Cambridge, we successfully launched the Tusk Conservation Awards in 2013. Since then, it has been evident each year how, aside from the Awards themselves, successive winners and finalists have benefitted a great deal from a chance to meet conservationists working all over Africa. The subsequent sharing of challenges and successes has already led spontaneously to project visits and inter-country collaboration. We felt it was important to expand on this by providing this opportunity to our long-standing partners, many of whom work in remote and challenging environments where the opportunity to meet and learn about new or alternative conservation techniques or technology being applied elsewhere may be rare. 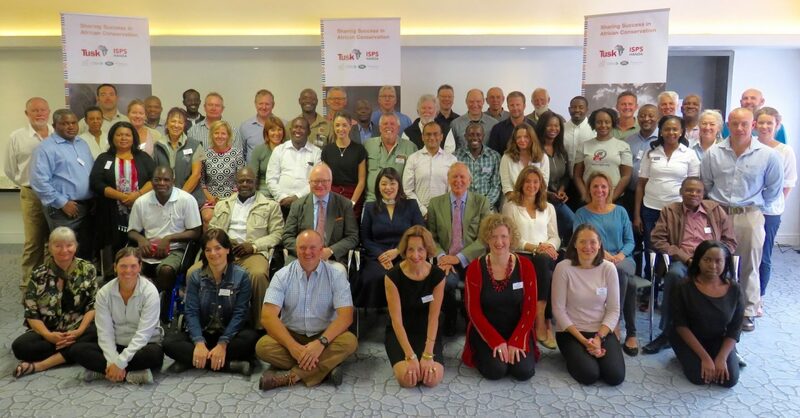 The Tusk Symposium therefore sought to leverage the inherent value of those working on the conservation frontline sharing their extraordinary knowledge, collective experience and impressive expertise. The hope was that the Symposium would lead to greater collaboration in the future and ultimately an improvement in their conservation practices wherever they may be based. To this end it was very successful, stimulating a number of potentially very exciting linkages between our projects. The Symposium was attended by 42 representatives of 31 of our project partners, from 13 different countries. Workshops covered six key topics: community conservation; government partnerships; environmental education; human-wildlife conflict mitigation; conservation linked economies; and anti-poaching and illegal wildlife trade. We also brought in external expertise to provide four training sessions on leadership skills, engaging corporate donors, communicating results, and conservation technology. Common themes included the importance of empowering local communities, ensuring that they have ownership of the problems and the solutions. Whether with communities, park management, local authorities, other stakeholders – or even donors – the importance of engaging people at all levels and working within partnerships was stressed throughout. All too often the solutions don’t have to be complicated. Applying basic principles can be the route to success, and when it comes to human-wildlife conflict, for example, it was clear that we already have many of the solutions available to us, but it takes landscape scale approaches, hard work and community engagement to keep adapting them to local contexts. It was also clear from the discussions that our work is never done. We have big challenges ahead, and critical issues that kept coming up were the continued loss of land and how we are going to find the space for people and wildlife to co-exist with an ever-growing human population. Yet there is hope if we can bring together the right people, with the right passion, in the right place. The Tusk Symposium was a big step towards this and we will be reporting on more of its findings and results in due course. We are extremely grateful for the generous sponsorship of the Symposium by ISPS Handa, and the extra support of Mantis, The Nature Conservancy, Land Rover and Investec Asset Management.